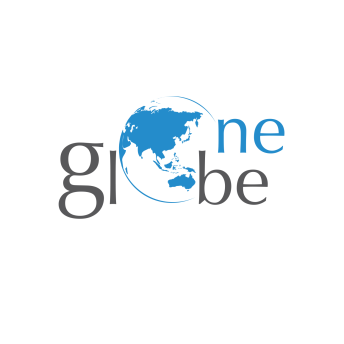 Winners of the 2016 One Globe Awards included Lord Raj Loomba, Founder & Chairman, The Loomba Foundation; Amitabh Kant, CEO, Niti Aayog; David Plouffe, Chief Advisor & Board member, Uber; Shikhar Agrawal, Jaipur Development Commissioner; State of Madhya Pradesh - Avinash Lavania, Ujjain Municipal Corporation Commissioner; Ravi Pandit, Co-founder, Chairman and Group CEO, KPIT Technologies Ltd.; and, Ashok Trivedi, Former Co-Chairman, IGATE Corporation (currently Managing Director, SWAT Capital). Some of the companies that have participated at One Globe in the past include Microsoft, Facebook, Oracle, Coursera, Cisco, Tata Group, Ericsson, Adobe, McKinsey, Uber, Fortis Healthcare, Xerox, DataWind, Steria, Cambridge Technology Inc., Air Asia, MLS Chase and others, apart from several cabinet ministers, parliamentarians, government departments such as DIPP and Niti Aayog, World Bank, USIBC, UKIBC, German House for Research and Innovation (DWIH), Brookings India, ANZIBA, SCCI, EBG, NewsCorp, International New York Times, WISE, Nasscom, FICCI, MAIT, CCIFI, TiE, National Skill Development Corporation (NSDC), National Institute of Urban Affairs (NIUA), top universities and institutes in India and other countries, as well as several global leaders. · Principal’s Breakfast Roundtable hosted by BrainGain Magazine: Some of the schools that have already confirmed participation include Delhi Public School; GD Goenka Public School; HDFC School; Pathways School; Salwan Public School; Scottish High International School; The British School; The Heritage School; ITL Public School; Ramjas School; Ahlcon International School; The Global Education & Leadership Foundation (TGELF); DPS World Foundation; Mayo College Ajmer; and, Canadian International School. These distinguished school principals will interact with global academic experts from New York University, Harvard, University of Cambridge, Knowledge@Wharton, International Baccalaureate Organization, U.S. India Education Foundation (USIEF), Institute of International Education (IIE) and St. John’s University to jointly deliberate on addressing the challenges of a 21st century education. The nominations are currently open. · BGM - Care for Air Essay Competition: The last date for submitting entries is 27 January, 2017 and several students have already participated from institutes such as D.G. Ruparel College; Presidium; Delhi Public School; DRS International; Innocent Hearts School, Bolan Medical College and others. · Knowledge@Wharton Investment Competition: More than 200 schools have submitted entries including Lotus Valley International School; Cathedral and John Connon School; Amity International School; Mount Carmel School; K.R.Mangalam World School; Tagore International School; Ryan International School; Modern School; Christ Junior College; Air Force Bal Bharti School; Oberoi International School; American International School; National Academy For Learning; Suncity World School; Dhirubhai Ambani International School; Sat Paul Mittal School; St. Kabir Public School; and, Neerja Modi School. Teams from other countries outside India that are participating in the competition include Sekolah Pelita Harapan, Indonesia; Global Jaya School, Indonesia; Bali International School, Indonesia; Robert College, Turkey; Salahaldin International Schools, Egypt; Vientiane International School, Laos; Dubai English Speaking College, UAE; Delhi Private School, Dubai; Saigon South International School, Vietnam; Overseas Family School, Singapore; Canadian International School, Singapore; Prem Tinsulanonda International School, Thailand; Yadavindra Public School, Mohali; and St. Christopher’s School, Bahrain. Entries for this year’s Investment Competition are closed. The regional finals will be held at One Globe Forum 2017. Speaker opportunities are almost nearly full, although some sponsorship opportunities are available, with just three more weeks to go for the One Globe Forum 2017, which will take place on February 10 & 11, 2017 in New Delhi. Delegates can avail of the early bird discount till 27 January by registering online. They will also be able to register on the spot at the event.